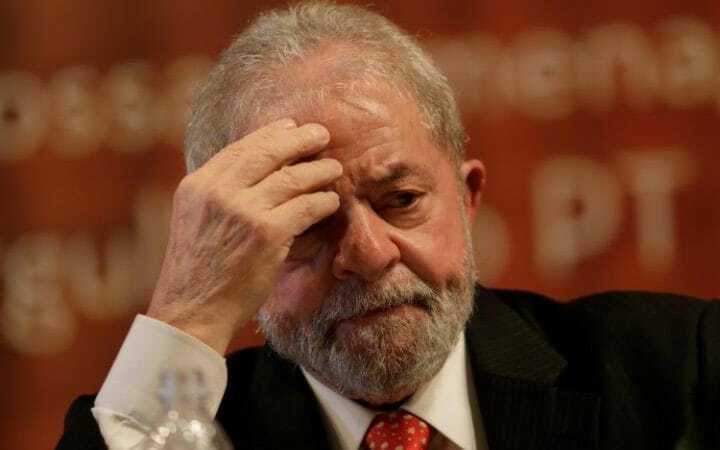 Former Brazilian leader Luiz Inacio Lula da Silva, a top contender to win next year's presidential election, was convicted on corruption charges yesterday and sentenced to nearly 10 years in prison. The ruling marked a stunning fall for Lula, one of the country's most popular politicians, and a serious blow to his chances of a political comeback. The former union leader, who won global praise for policies to reduce stinging inequality in Brazil, faces four more corruption trials and will remain free on appeal. Judge Sergio Moro found Lula, 71, guilty of accepting 3.7 million reais ($1.2 million) worth of bribes from engineering firm OAS SA, the amount of money prosecutors said the company spent refurbishing a beach apartment for Lula in return for his help winning contracts with state oil company Petroleo Brasileiro.